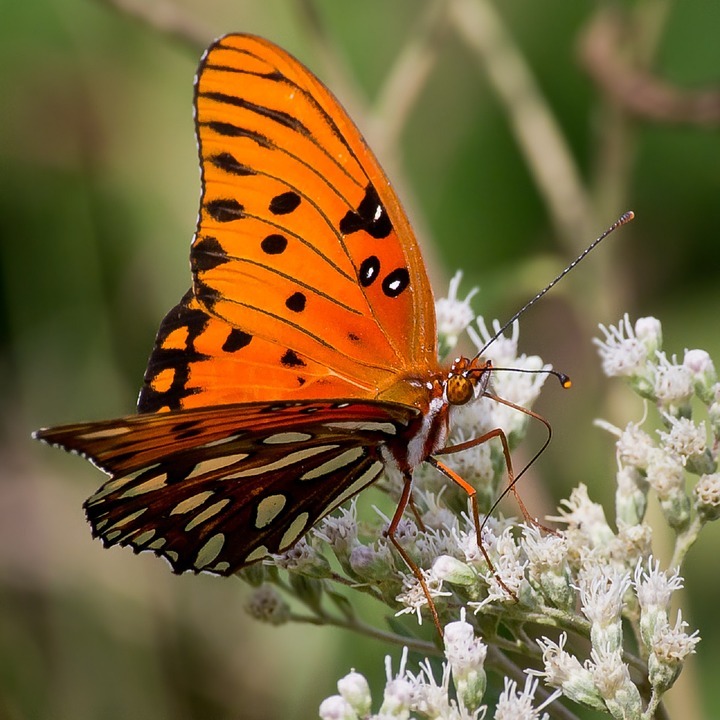 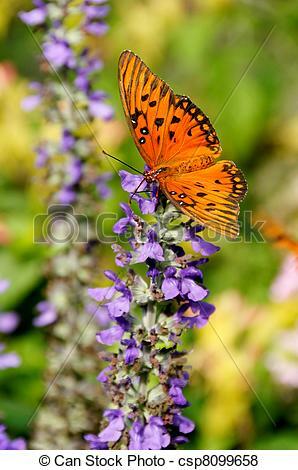 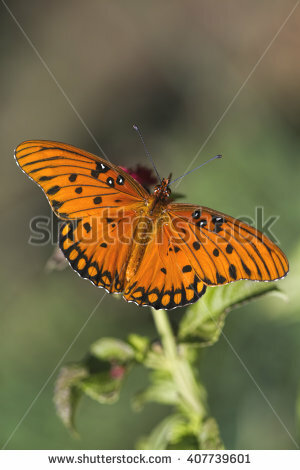 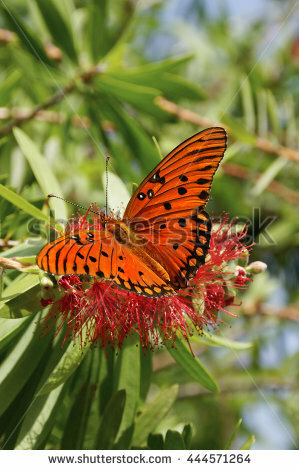 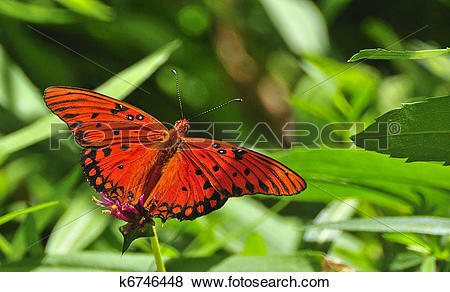 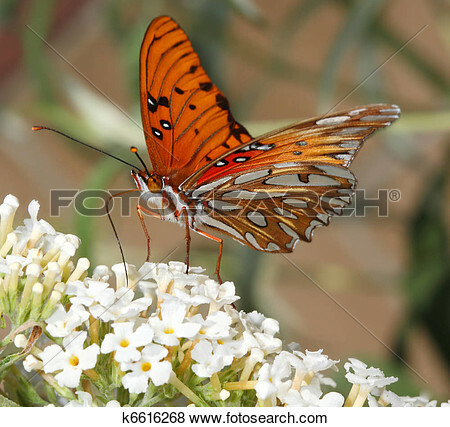 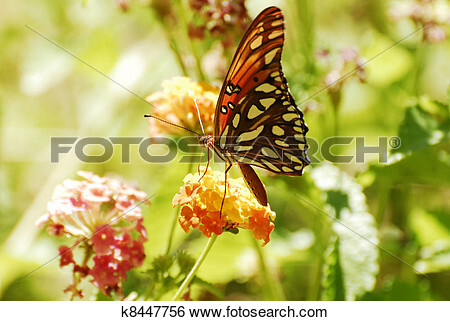 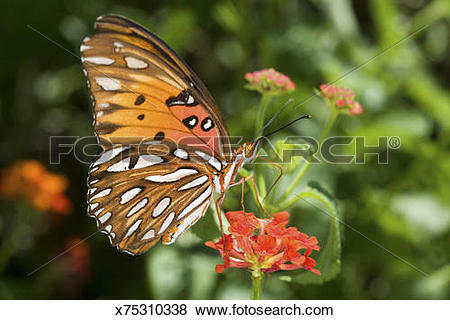 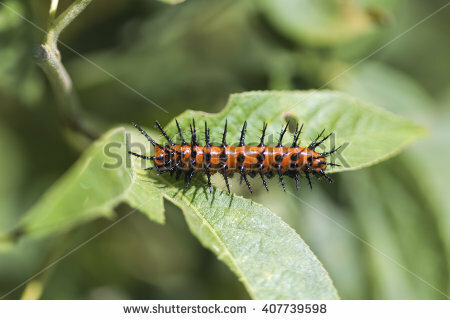 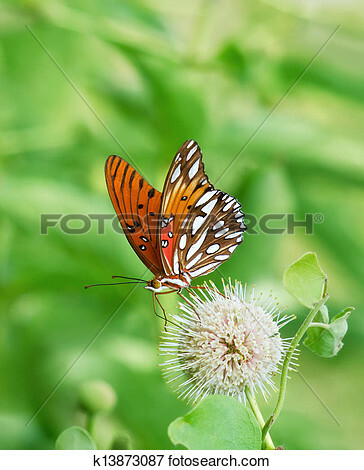 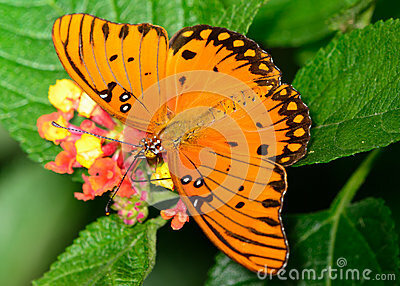 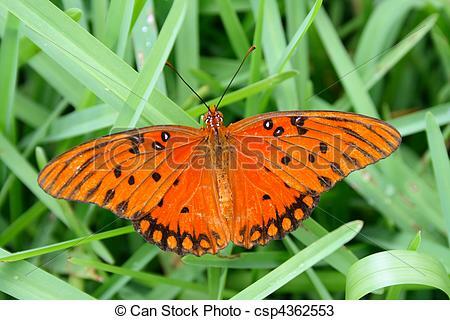 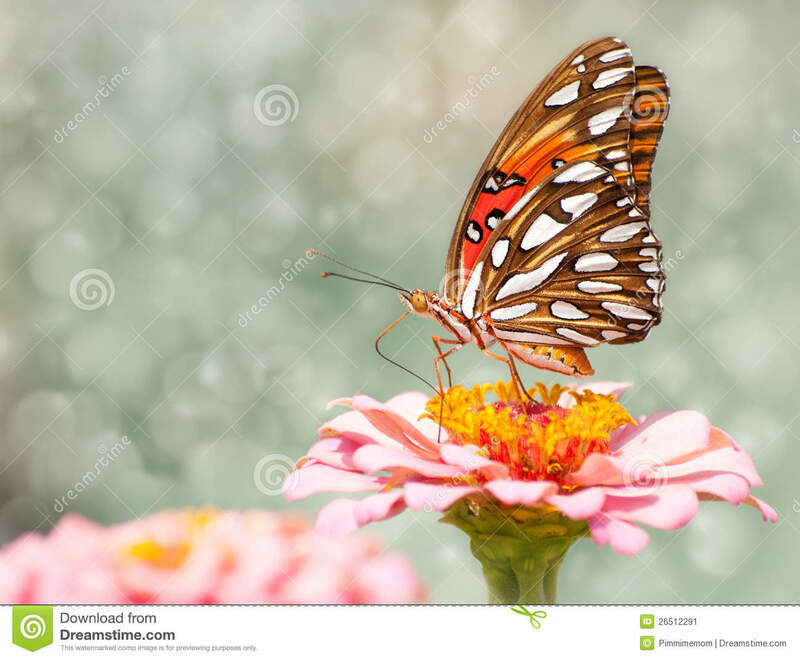 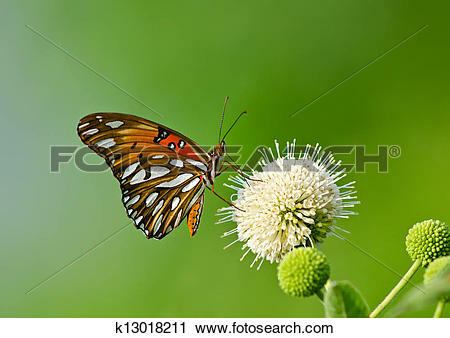 Stock Image - Gulf fritillary . 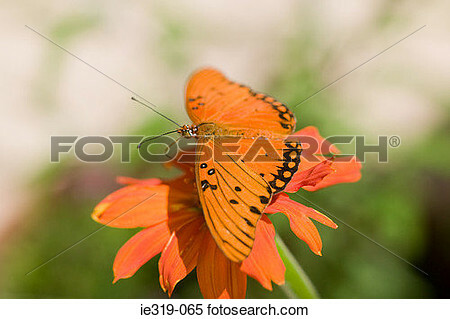 Bright orange gulf fritillary butterfly on a red flower with green leaves in background. 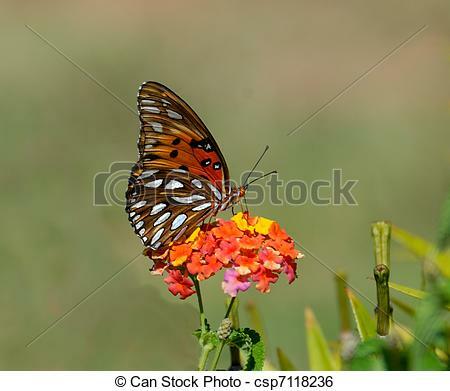 A gulf fritillary butterfly on purple flowers. 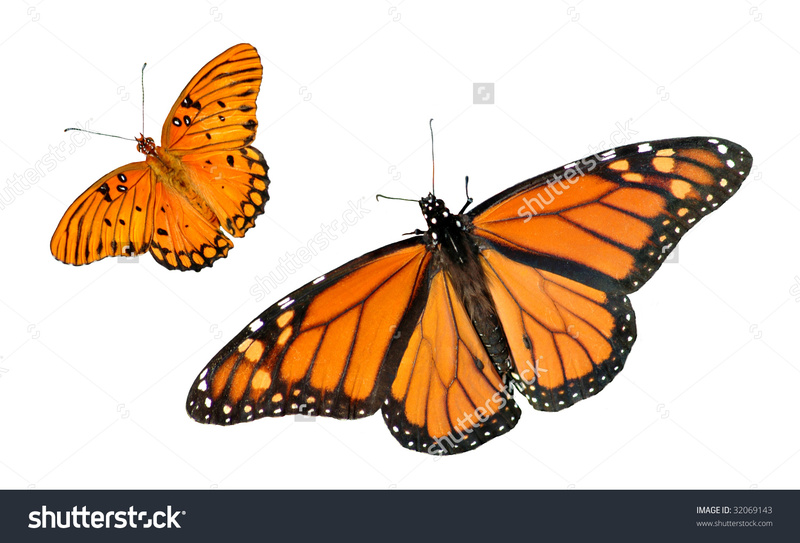 V.24.1.7 Page loaded in 0.0778 seconds.